Can I Get Disability for Spinal Stenosis? If an application for social security benefits has been denied you may be confused and frustrated because you don’t know why. You may be wondering: Can I get disability for spinal stenosis? Before we go into Disability for spinal stenosis, let’s talk about what this is: Spinal Stenosis is a medical condition that affects the spine. It generally refers to a narrowing of the spinal canal. The narrowing can be caused from boney overgrowth, herniated discs, thickened ligaments, even tumors. With reduced space, the nerves that traverse the areas of the spine can become irritated and painful. The condition is often associated with wear and tear arthritis. 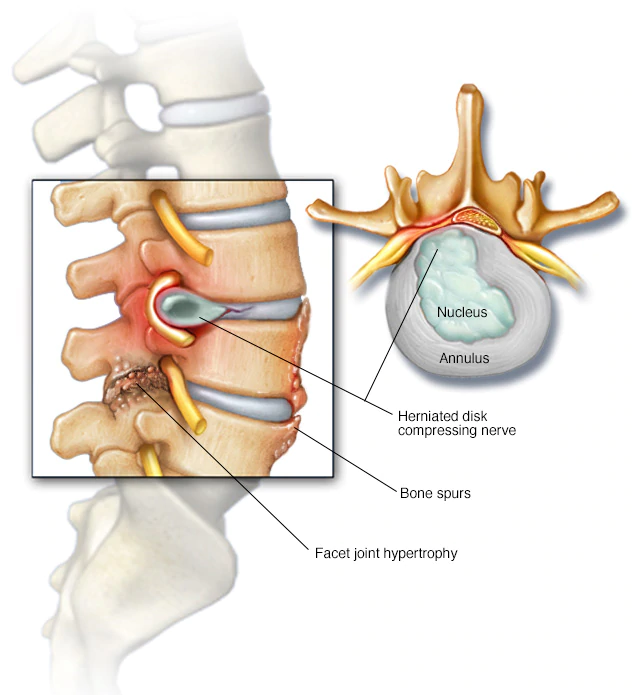 Degenerative conditions of the discs or boney vertebrae are frequently associated with diagnosis. Most common areas affected are the cervical and lumbar spines. Given that these areas account for most of the spinal motion, it is no surprise that movement can aggravate the condition. Most applicants who file a claim for disability benefits are denied because the Social Security Administration (SSA) makes the presumption that there is some type of job for which they qualify and, thus, able to perform as employment. This negative “approach” by the SSA toward benefit approval must be overcome by each and every applicant for benefits based on a disability whether you have spinal stenosis or some other disability. Thus, the road is, unfortunately, often long and arduous to receiving approval for disability benefits. It requires claimants with spinal stenosis to not only possess the fortitude to endure the complex, extended application process, but perseverance and determination to endure and survive any setbacks they encounter to continue the journey onward to benefit approval. These are qualities that a seasoned and knowledgeable attorney may provide to anyone who must travel on this unique road even those wondering “can I get disability for spinal stenosis?”. Applicants must be persistent to receive disability benefits. An attorney experienced in handling disability cases may provide an invaluable, additional element of persistence in the fight for benefit approval. From a disability standpoint, in the absence of serious neurological deficits (loss of bowel or bladder control, a drop foot, loss of reflex arcs), most cases turn on the functional effects, that is limitations on sitting, standing, walking, lifting and bending. Most people are functionally limited both by the mechanical issues in their spine and their pain. The limitations can go far beyond impacting work, and severely limit simple activities of daily of living. People cannot maintain posture for long periods, some cannot bend over and lift, some find climbing stairs is a problem, using the arms repetitively can become impossible. The key is providing an objective basis for the condition, and then illustrating how the medical condition limits your ability to function. Can a Lawyer Help Get Disability if I have Spinal Stenosis? Because the majority of claims for Social Security Disability Insurance (SSDI) and Supplemental Security Income (SSI) are denied at the first level, most SSD and SSI applicants will find it necessary to appeal their claim multiple times, often to the level where a hearing occurs. Therefore, it certainly cannot decrease an applicant’s chances of receiving approval for benefits to learn about how the Social Security system operates at each stage of the application process. This is an additional reason why having the assistance of legal counsel ensures that an application has the best chance of receiving the determination to which the applicant is entitled. Social Security primarily establishes eligibility for disability benefits under a listed impairment or medical condition with potentially disabling conditions listed in the Bluebook, a manual for evaluating medical conditions using guidelines pre-established by the SSA. If no impairment is established under the listings, Social Security then examines the effect of an impairment on the applicant’s capacity to perform daily activities and function in the workplace. Can I get Disability for Spinal Stenosis? The System may be Against you But there is Help. 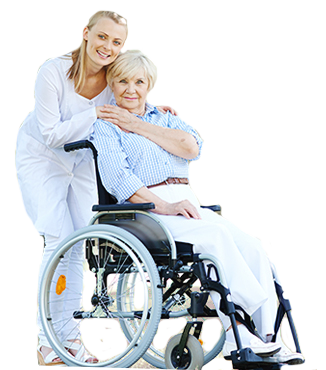 Take advantage of the legal services offered by the Sullivan Law Office to assist in sorting through the extensive requirements that determine eligibility for disability benefits. The Sullivan Law Office provides assistance in ensuring that all applicants and recipients receive all of the benefits to which they are entitled in all types of disability cases including spinal stenosis. Contact the Sullivan Law Office today by calling 888-587-0228 or find out if you qualify by filling out the form on this page.